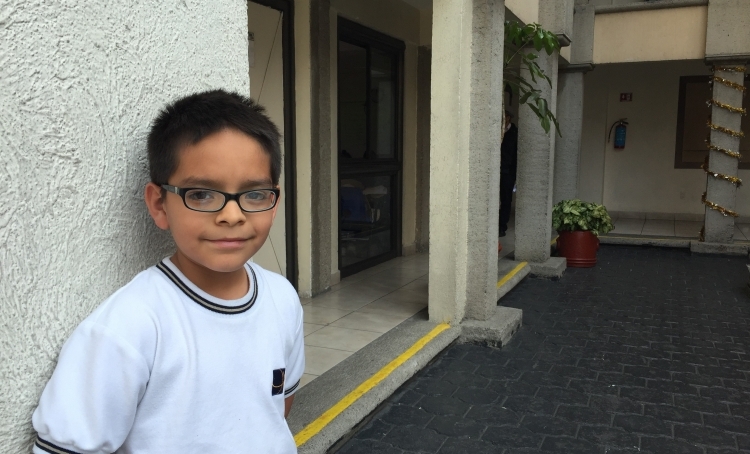 Always wearing his glasses and a smile, fifth grader, Victor Hugo C. is grateful for the opportunities Christel House Mexico has provided to him and his family. He is the youngest of five children; his sister Ana Karen is an eighth grader who also attends Christel House Mexico. Both his mother and father are committed to their children’s’ education and to utilizing the enriching activities Christel House Mexico provides. Victor Hugo began attending Christel House Mexico in the first grade. He has developed into an outstanding student, great friend and a positive leader to his classmates. Despite the disadvantages life has presented him, he strives to be involved in his community and has earned the respect of his peers. “Christel House is a great school that helps people when they think all is lost,” Victor Hugo states. Victor Hugo learned the value of hard work as he struggled with his math studies. With the support of his teachers and determination to excel, he learned the material and now receives high marks in all areas of his studies. With your support, students like Victor Hugo overcome challenges, continue their education and pursue their dreams.